MSM (Methylsulfonylmethane) is naturally occurring organic sulphur that is found in all living organisms. Within the human body, MSM is found in small amounts in body fluids and tissues. Sulphur is an important nutrient for the formation of collagen, which maintains the health of cartilage, skin, nails, hair and joints. In past few years, dietary supplement Methylsulfonylmethane (MSM) has become very popular among people suffering from various problems such as different types of allergies, inflammations, heartburns, fibromyalgia, arthritis rhinitis, hair problems (those with keratin level in hair below normal), joint pain, parasitic infection, irritable bowel syndrome, carpal tunnel syndrome and also skin and nails related issues. MSM is also believed to be useful in strengthening joints, balancing blood flow as it helps in increasing the blood flow, muscle contraction problem and mobility related problems etc. MSM in combination with Glucosamine, Chondroitin and other few herbs/medicine works magic for the patient suffering from joint pain. It also is supposed to have an important role to play in treatment of cancer and Seasonal Allergic Rhinitis (SAR) as MSM helps in fighting symptoms of these diseases, more study in this area is still needed to reach a concrete conclusion. 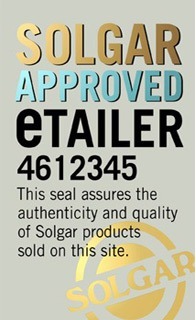 Solgar supplies several different MSM supplement products such as Solgar MSM Methylsulfonylmethane 1000mg 120 Tablets and Solgar MSM Powder 226 Gram.